Amazing experience, all my childhood heroes in one place and of course the chance to get up close to the Stanley Cup. Great exhibits. Beautiful trophy room in an old bank building. We had a great time and the staff was very accommodating. 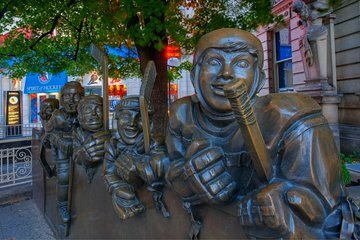 The Hockey Hall of Fame was amazing!! Make sure to give yourself plenty of time to see everything...especially the interactive area! Great fun at a reasonable price! För hockeyintresserad är detta verkligen kanon. The HOF was a good stop! The interactive section really kept us engaged.